OUR GROUP REVIEW: Overall we gave this book 4 out of 5 stars. We found this book to be an interesting, charming and heartwarming read. We felt it was a perfect time of year to read it as a group since it was around the holidays. It helped us each to focus on how we can help those around us. 1. What did you enjoy the most about this book? We loved the idea of an ordinary person becoming a superhero without powers. Through a series of letters and instructions, Ed is given a glimpse into people’s lives and has to figure out how to help them, becoming 'the messenger'. We loved getting to know these people – all very different, to see what made them act the way the did and what they cared about. 2. Did we have any thoughts as to the authors writing style? Yes, there is a very specific writing mechanism Markus Zusak used that caused a few double-takes and more than a few questions. It made for a funny and confusing topic of discussion. We won’t go into details on this because it would be a big spoiler, but this was one of the most interesting parts of this book. 3. What did we think of the main characters? Did we love or loath any characters in particular? Why? Ed is presented as sort of ordinary in the beginning, which made it a little harder for some members to identify with him. But after discussion, we decided that Ed’s vanilla personality highlights the theme of someone ordinary doing amazing things. We fell in love with most of the characters on each of Ed’s missions, some of our favorites being the “ice cream mission,” “the old lady,” “Sophie the runner” and the “priest.” We especially loved Ed’s relationship with The Doorman, who is his smelly dog. Ed always puts words into The Doorman’s actions, which was hilarious. One thing this book really brought out is the idea that if you’re really focusing on it, you can figure out ways you can help people by observing their daily actions. We all agree that we would have to be less ‘stalker-ish’ than Ed, but we like the focus of kindness. We also discussed being on the receiving end of a kind deed and how much that can mean. “That was when the world wasn't so big and I could see everywhere. It was when my father was a hero and not a human." This prompted discussion of the moment in life when you realize your parents don’t have all the answers and they are just doing the best they can – a splintering and sobering life moment. So profound because we’ve all felt this way. Markus Zusak has a profoundly beautiful way with words. We chose to read this book after reading and loving his other book, The Book Thief last year. To read an in depth review and analysis of this book and the ending, you can read more HERE because its hard to say much about this book without saying SPOILERS! AUTHOR Q&A: Markus Zusak was born in Australia, and if you purchase the audio-version, the person that reads it has a charming Aussie accent. I am the Messenger actually came out years before The Book Thief, but it was the latter that made him one of the most famous Australian authors. The Book Thief has been adapted into a major motion picture. You can watch the trailer HERE. Markus Zusak still resides in Sidney, Australia with his wife and two children. 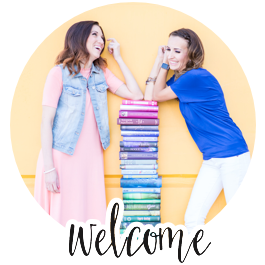 To see our photo recap complete with recipes, printables and other goodies, click HERE! CONTENT: PG-13 There are some tough topic matters in this book. Some of the situations are surrounded by lighthearted comments, which dulls the sharpness a little. But there are a few very intense moral dilemmas and quite a bit of swearing. 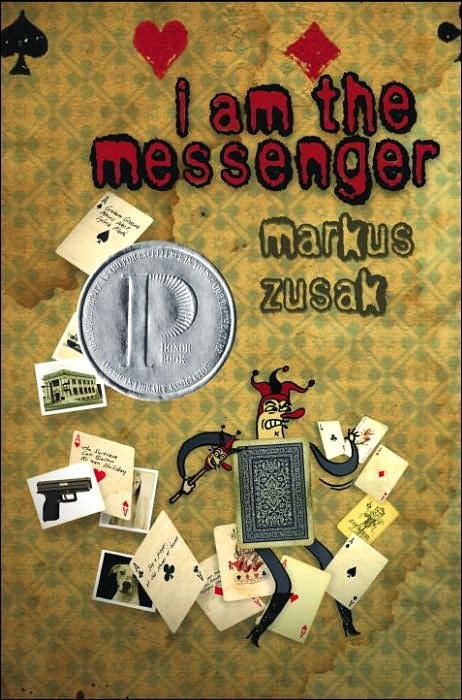 Since this is a YA book, some of the members were surprised by the amount of swearing, but since Markus Zusak is from Australia, it was suggested that the weight of certain words may be different between our cultures.